Surrogacy is probably the most controversial of all the assisted reproductive technologies currently in use. A surrogate is a woman who carries a pregnancy for you. The two types of arrangements with surrogates are called traditional surrogacy and gestational (carrier) surrogacy. 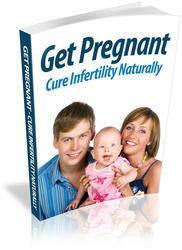 Traditional surrogacy refers to a woman whose own egg is inseminated with sperm from your male partner. Gestational surrogacy involves a woman who carries an embryo created from the joining of your egg and your partner's sperm. Both types of surrogacy arrangements have pros and cons. However, perhaps most importantly, surrogacy is an option that allows you to become parents when you can't carry a pregnancy on your own.